Your son Jonathan was very helpful in selecting my rings. 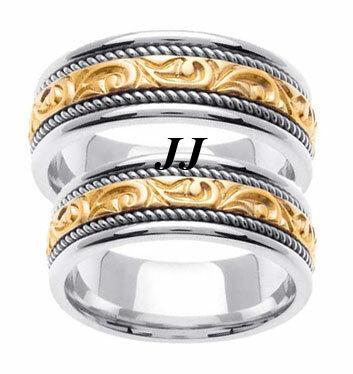 My husband knew exactly what he wanted (hammered gold) but I only knew I wanted a band to wear alone that would match his but not be identical . 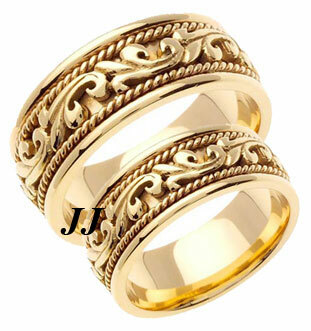 Jonathan suggested the braided gold and the rings look like they were made to go together. 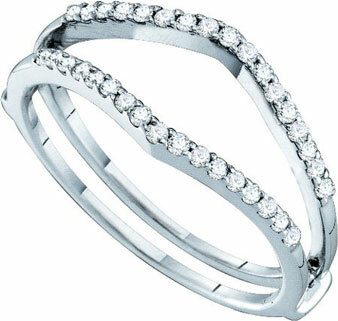 My ring looked both strong and feminine which is exactly what I wanted. I have to be honest, you were so helpful and the price was so good I wondered if it was a scam. I am happy to say it was exactly the opposite, a great deal with friendly helpful staff. Thanks So much.